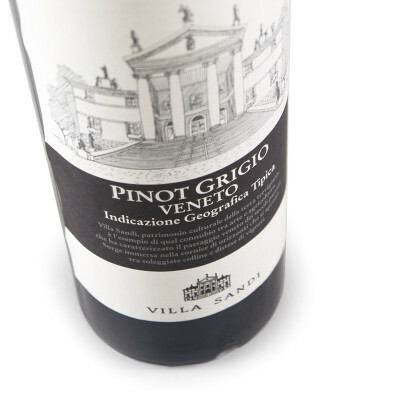 Fresh, subtle and fruity, this is Pinot Grigio at its very best. An incredibly popular wine, well-known for its refreshing lightness, and for being the perfect accompaniment to a hot summer’s day. Marked by fruity and flowery notes that are reminiscent of the countryside in the summer, this Pinot Grigio has a dry, round and flavoursome taste that’s well-structured with a fruity, warm and well-balanced finish. A subtle, unobtrusive intensity of flavour, that is elegant, mineral and complex. There’s a reason this wine is an ever-popular crowd pleaser, and in the right hands, it can produce a revelation of a wine. Pinot Grigio 100%. IT MAY CONTAIN SULPHITES. Abv 12%. 1 year Serving temperature: 10-12°. It pairs well with Mediterranean first courses with fish and cherry tomatoes, but is also excellent with raw ham and melon or fresh, creamy cheeses, or most things that you’d cook on a warm summer’s evening.